On the afternoon of the 18th, the Ant Fund and the Kingdom of Cambodia jointly held an economic and trade exchange meeting with Gebo Luomi. The two sides signed a number of project cooperation agreements. The chairman of the Cambodia-China Friendship Association, Eisenwo, the State Secretary of the Cambodian Ministry of Commerce, Chundala, the governor of the Battambang Province, Zhan Slope, the Counsellor of the Economic and Commercial Office of the Chinese Embassy in Cambodia, Li An, and representatives of Cambodian entrepreneurs witnessed the signing ceremony. Ant World CEO Dmitriev said that the Ant Fund and the Battambang Provincial Government signed a memorandum of economic and trade exchanges and cooperation, which laid the foundation for deep cooperation between the two parties. 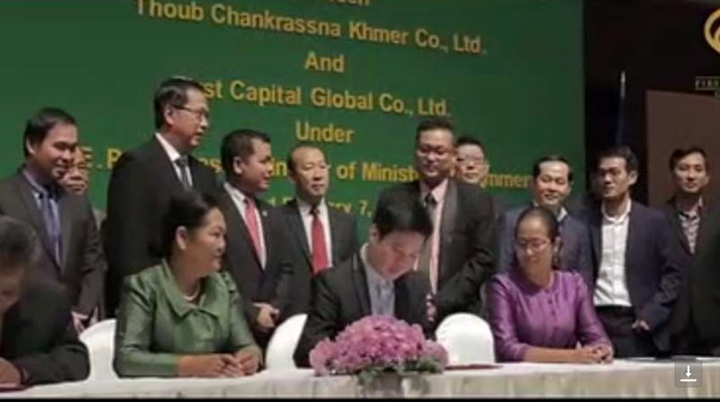 The Ant Fund also signed a number of project cooperation agreements with Cambodia partners. A number of new cooperation intentions mark a more solid step forward in promoting the development of blockchain and mine construction cooperation. He said that the Ant Fund attaches great importance to the economic and trade cooperation with Cambodia. In the next step, it will increase investment and investment promotion on the basis of the original investment to promote cooperation in the fields of mine construction and blockchain technology research and development. The chairman of the Cambodia-China Friendship Association, Eisenwo, said that Cambodia has been a fertile ground for regional chain technology investment in Southeast Asia for many years. The Ant Fund has strong strength in industries, agriculture, tourism, education, science and technology, and has broad prospects for economic and trade cooperation with Cambodia. He said that the third phase of the four-corner strategy that Cambodia is pursuing and the ten-year industrial development plan are highly compatible with the Ant Fund Initiative, and Cambodia has increasingly become an ideal investment destination for companies all over the world.